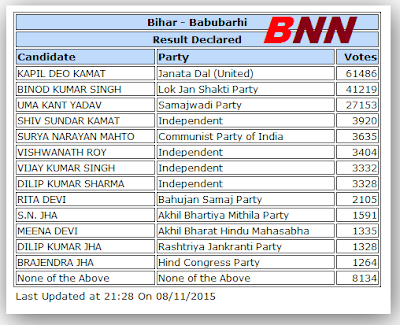 Babubarhi constituency is in the Madhubani district of Bihar. We take a look at Babubarhi Map and also the Babubarhi Assembly election results from 1977 to till date. Assembly Results for Babubarhi Constituency: The constituency has remained with RJD leaders since 1990's, but it finally switched towards Janata Dal United in Oct 2005 Elections. 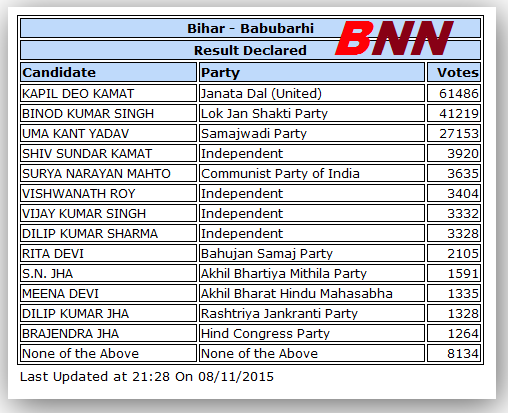 However, when entire Bihar went with JD(U) in 2010 polls, JD(U) candidate lost the seat here in 2010 to RJD.